Gulf Crisis: Has anti-Qatar quartet drops demand for Al Jazeera shutdown? Saudi Arabia and its anti-Qatar allies have seemingly dropped their demand to shut down the Doha-based Al Jazeera news channel as a prominent minister of one the boycotting countries spoke of restructuring the world network instead of its complete closure. Saudi Arabia, United Arab Emirates (UAE), Bahrain and Egypt have accused Qatar of funding terrorism and using Al Jazeera to undermine their internal security. The four shut down the network along with other Qatar-backed media in their respective countries. To re-establish ties, the anti-Qatar quartet issued a list of 13 demands including closure of Al Jazeera. The 13 demands were dropped to only 6 demands after the end of the deadline given to Qatar. In an interview published Wednesday by The Times newspaper, the UAE’s minister for the federal national council, Noura al-Kaabi indicated that the bloc no longer seeks the network’s shutdown. “The staff at the channel can keep their jobs and Qatar can still fund a TV channel but not one which provides a platform for extremists and where the English channel is a protective shield for the much more radical Arabic one,” Kaabi told The Times. The minister later in a tweet backtracked to adopt the bloc’s original demand for complete closure. “Position of Anti-Terror Quartet [Saudi led-alliance] is clear. The platform for extremism that is Al Jazeera MUST END,” she twitted. “People shouldn’t be fooled by the cynical use of principles of journalistic freedom as a cover for hate speech & the incitement of violence,” she added. Al Jazeera hit back in a statement rejecting what it called “external intervention calling for “re-structuring”. “Al Jazeera Media Network rejects any external intervention pertaining to its organizational structure or journalistic mission, and reiterates its independence & professional editorial stance,” the Network said in a statement. “Al Jazeera continues to stand by journalists and media institutions globally for their right to practice journalism without fear or intimidation. One of the cornerstones of free media is ensuring its ability to operate independently, without interference or censorship from governments or any other party. 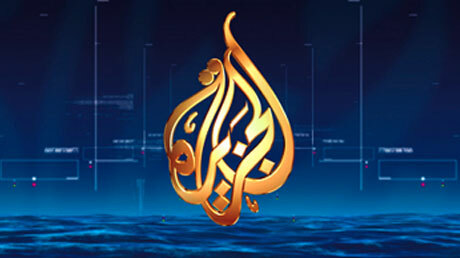 Activists, human right groups as well as global media organizations slammed the Saudi-led campaign against Qatar and the demand for Al Jazeera shutdown. Sarah Leah Whitson of Human Right Watch called the Saudi-led group’s demand “absurd”. “This is just an attempted expansion of the cowardly censorship they have inflicted on their own citizens, but it will fail,” she said. Saudi Arabia-led boycott of Qatari news channels also hit Sports channel BeIN Sports. The channel has been clocked in the Gulf and reports say Saudi Arabia is set to launch a rival channel. Posted by KanelkaTagba on Jul 14 2017. Filed under Gulf News, Headlines. You can follow any responses to this entry through the RSS 2.0. Both comments and pings are currently closed.